NEW YORK, Nov. 20, 2018 /PRNewswire/ -- The Cognizant U.S. Foundation, a non-profit organization focused on supporting science, technology, engineering and math (STEM) and other technical education programs, today awarded a $2 million grant to New York City-based Civic Hall, a non-profit innovation center focused on advancing the use of technology for public good. The grant will fund a new digital skills training program for New York City non-profit agencies and residents. Cognizant U.S. Foundation board members and Civic Hall executives announced the partnership and $2 million grant today during an event at Civic Hall's Manhattan headquarters. Featured speakers included: Phil Thompson, Deputy Mayor for Strategic Policy Initiatives, the City of New York; Allen Shaheen, Board of Directors, Cognizant U.S. Foundation; Andrew Rasiej, Founder and CEO, Civic Hall; Jessica Quinn, Chief Operating Officer, Civic Hall; Plinio Ayala, President and CEO, Per Scholas; Gale Brewer, Manhattan Borough President; and James Patchett, President and CEO of New York City Economic Development Corporation. "The City of New York is committed to ensuring all New Yorkers have access to getting the skills they need to compete in the 21st-century economy, and to helping make the technology industry more diverse and inclusive," said Phil Thompson, Deputy Mayor for Strategic Policy Initiatives, the City of New York. "This grant to Civic Hall by the Cognizant U.S. Foundation is an important and strategic step in ensuring that digital skills training programs keep up with the changing needs of employers as technology continues to advance at a rapid pace." "Organizations like Civic Hall are leading the way in ensuring New Yorkers are equipped with the digital skills they need to fill the many quality jobs available within the tech sector," said James Patchett, President and CEO, New York City Economic Development Corporation. "Their proven track record in workforce development is the reason we chose them as the anchor for the Union Square Tech Training Center, which will connect New Yorkers of all backgrounds to modern skills training and job opportunities with emerging and established companies, all under one roof. We congratulate them on this grant and look forward to our continued partnership." "As technology continues to advance at an exponential pace, it's critical that our country's workers are trained to meet this demand," said Andrew Rasiej, Founder and CEO, Civic Hall. "This Cognizant U.S. Foundation grant will not only support next-generation tech training for underserved New Yorkers, but will also link today's employers with the most diverse and best skilled workers of tomorrow." 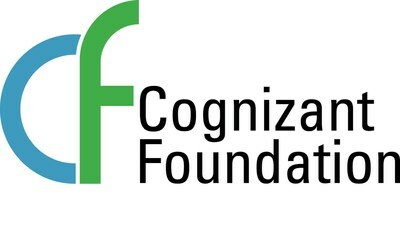 "The Cognizant U.S. Foundation was created to improve and expand opportunities for American workers in the digital economy," said DK Sinha, President, Cognizant U.S. Foundation. "By supporting digital skilling initiatives, introducing individuals to technology careers, and providing new opportunities for underemployed professionals, we aim to prepare more individuals to prosper in digital economy careers. Civic Hall's broad local reach and infrastructure, coupled with Per Scholas' expertise in delivering technology curriculum, will have a significant impact on workforce preparedness in New York City and surrounding communities. We're pleased to be making this grant, supporting Civic Hall's initiative to narrow the tech skills divide."